Burglars may try a number of methods to try and gain access to your home, including picking your lock. The most obvious sign your lock has been tampered with are visible dents and scuff marks around the key hole. While these are quick and easy to notice, here are specific signs of lock tampering that you can look for and measures you can take to help prevent unauthorized entry. When you suspect lock tampering—or worse, a break in—the first thing to do is remain calm and assess the situation. What evidence do you have? For example, is anything inexplicably missing, moved, or broken? Any window, lock, or door frame deformed, smashed, or broken? If you have evidence like this, call the police to report it. If not, you might look a little closer for indications of tampering. Before you go looking for signs of entry, however, it might help to have a basic understanding of the three main ways burglars go about getting through locks. This is the hastiest, and therefore messiest, form of attempted break in. Often a criminal will try to bash in a lock, drill through a deadbolt, or kick down a door, leaving a trail of twisted metal and splintered wood. There are less obvious ways to force through a lock though, so you might also look for some of the following signs of unnatural wear. If you notice that your key is suddenly harder to turn than usual, this could indicate pin deformation—a result of more refined methods of lock manipulation like bumping or picking. Since the early 1900s, locksmiths have used a secretive technique called “bumping” to open locks in a hurry. In 2005, a Dutch talk show revealed the process and, since then, the technique has been picked up by countless burglars worldwide. To do this, burglars file down the teeth of a key into several points, sort of like a little saw. Next, they insert this “bump key” all the way into a compatible keyhole and withdraw it one click. Then they strike it abruptly with a blunt object, withdraw one click again, and repeat until the lock tumblers have all caught. Finally, they turn the key and open the door. When done correctly, this method leaves little trace. Sometimes, however, hasty amateurs can leave identifiable marks. The third and most traditional method of tampering with locks is “picking.” This is where a person uses small tools like a flat screwdriver to turn the lock and a pick (sometimes even a dental pick) to rake the pin tumblers. Like bumping, once the tumblers catch the lock easily turns. This takes more time and expertise than bumping, but is gentler and therefore unlikely to leave indications like warped pins or bolts. Nevertheless, as picks and shims (i.e., screwdrivers) wiggle around inside, they can cut into the edges, leaving marks. Now that you know what signs to look for and how they happened, you can consider options for rectifying the problem. One of the best ways to deal with lock tampering is to change your locks or upgrade them to hybrid digital/mechanical bolts, which are not as dependent upon tumblers and pins. 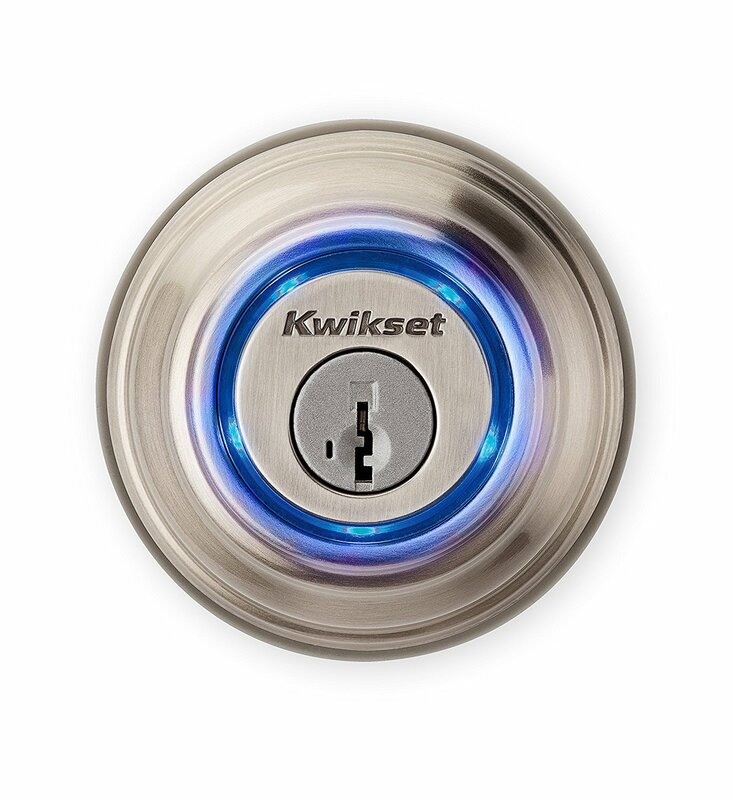 You can also use a sliding bolt or a device which prevents turning of a deadbolt even after it is unlocked. At the very least, you can spray WD-40 in the keyhole to make it harder for pins to stick. In cases of brute force entry though, lock upgrade might not be as helpful. Instead, it might be time to consider installing a home security system. That way even after you’ve changed locks and reinforced doors, if a criminal tries to force their way back in they’ll set off alarms or get caught on tape, offering you and your family yet another layer of protection. If you’re interested in this kind of monitoring, let SafeWise help you start comparing home security packages so you can find a company that meets your needs. For more safety tips specific to your area you can contact your local police department or crime prevention council.